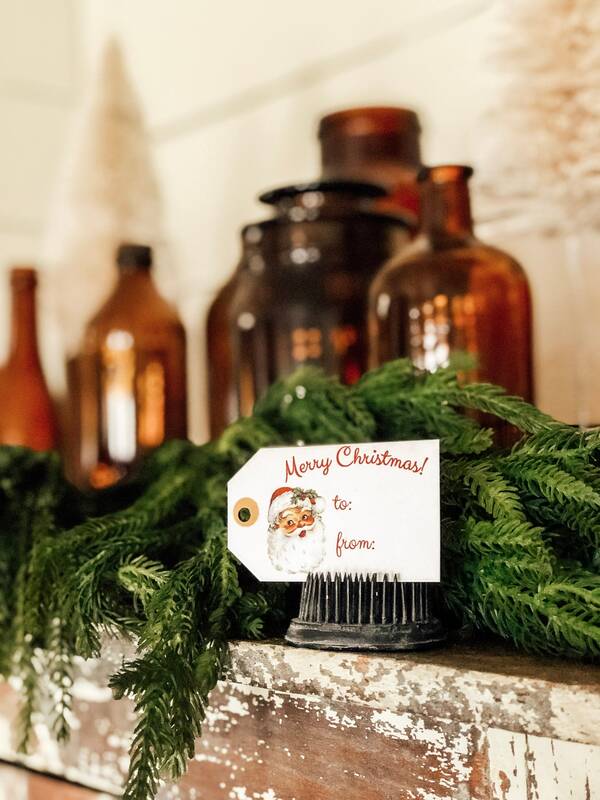 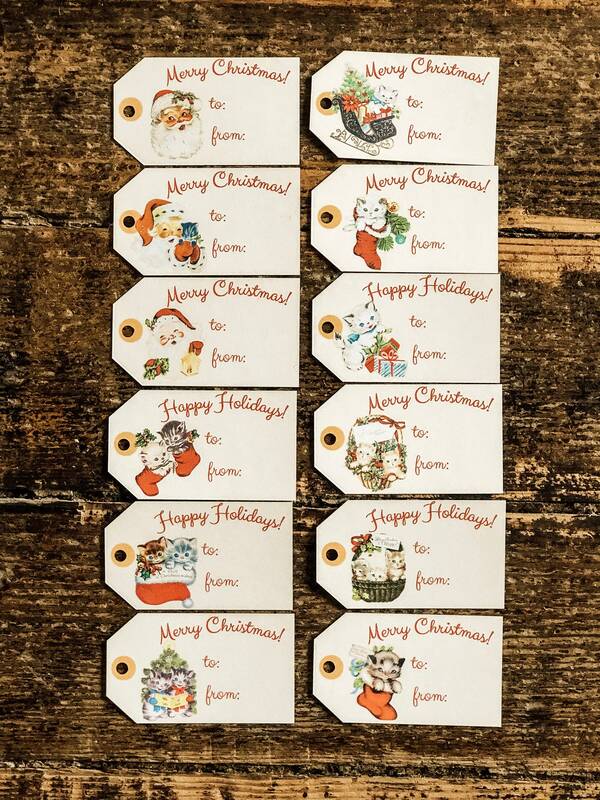 (12) Vintage Style Christmas Gift Tags. 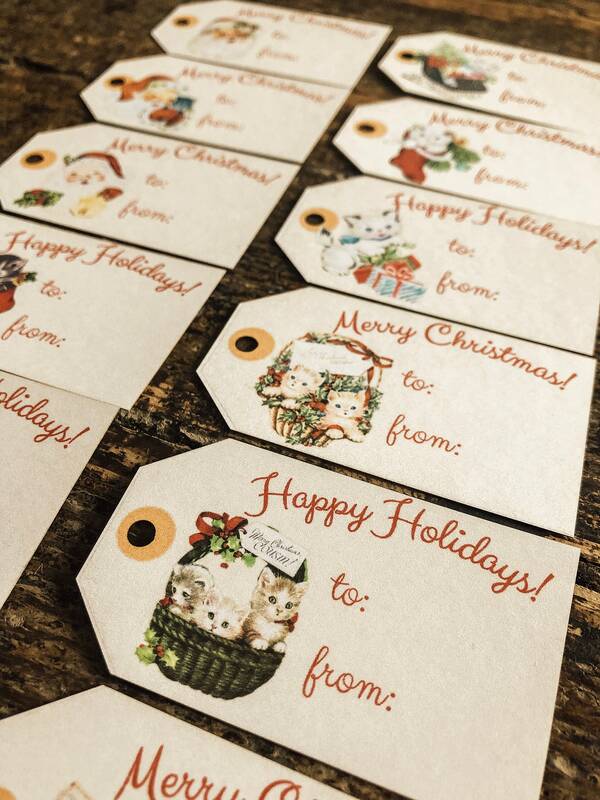 Printed on 65lb smooth matte finish white card stock and laser cut for clean smooth lines. 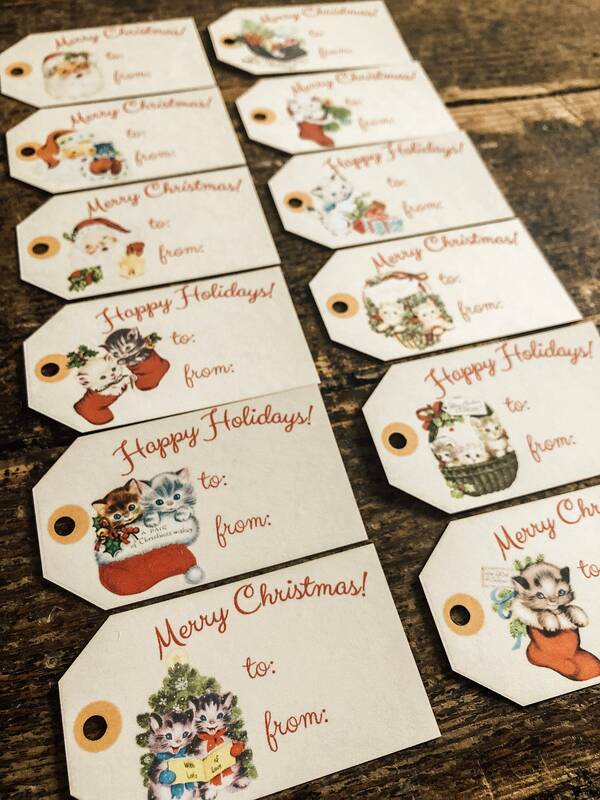 There may be some browning on the backside or along edges from being laser cut.